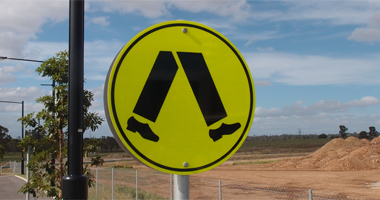 Safety Signs & Products to help make your construction & building work site safer for all personnel, workers, visitors and passing pedestrians. 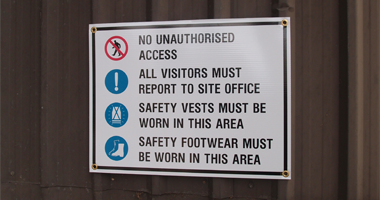 Make your workplace facility safer, minimise risks and eliminate hazards with Danger, Prohibition, Mandatory, Warning and Custom Safety signs. 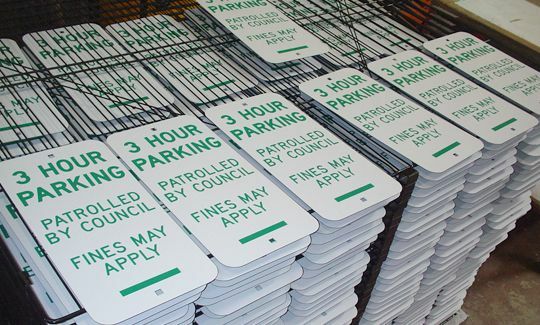 Regulatory, Warning & Customised Parking signs to help make your carpark and traffic areas safer and more functional for drivers and pedestrians. 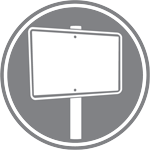 Install and display your signs professionally with our wide variety of Signposts & Brackets, Freestanding Sign Frames and Wall Mounted Displays. Create a safe and secure facility to protect and guard your assets, structures and people with our range of Pedestrian & Traffic Safety products. 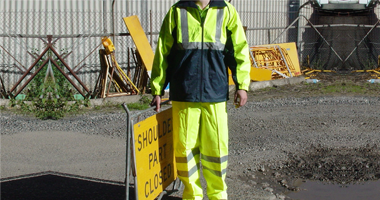 Dress your workers and staff in style, comfort and safety with custom Embroidered & Printed Hi Visibility Safety Apparel, Workwear and Headwear. We can make your special sign fully customised the way you want it. 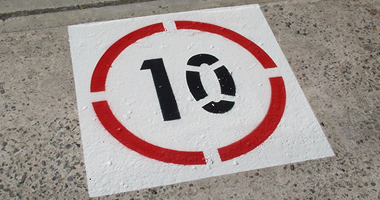 What substrate material is best for your custom made sign? 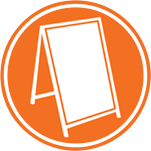 At Signblitz we are a family owned signage and embroidery business based in Yennora, Sydney NSW, Australia. As a company with over a decade experience in what we do, we guarantee fast and efficient service that is hassle free. 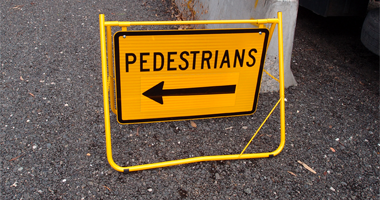 We specialize in quality custom made signs, for you construction site, facility, workzone or any area. We value your safety, and the safety of your employees, this is why we guarantee fast service and fast delivery of products. Proudly supporting The Children’s Hospital At Westmead for over 10 years. 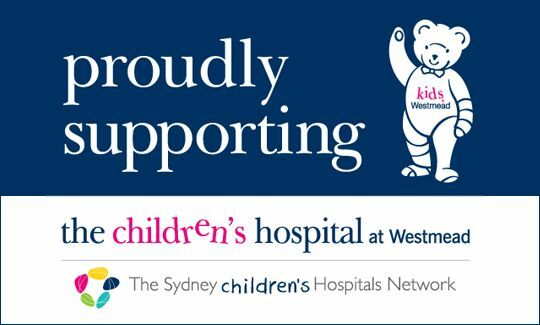 We are a proud supporter of The Children’s Hospital at Westmead since 2006. We support the hospital by donating one dollar for every invoice that we raise. The Children’s Hospital at Westmead has been caring for children from all over NSW and beyond since 1880. it is one of the most well respected paediatric centres in the world and one of the busiest. Very good quality caps, excellent order turnaround, quick response from order to delivery, would have no hesitation in recommending Signblitz to others. 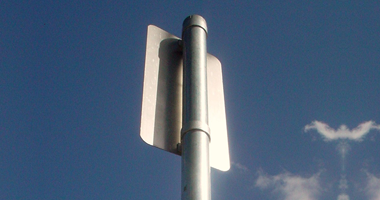 We have purchased many signs from Signblitz in the last two or so years. They are always to a very high standard. The time taken to discuss individual requirements ensures you are always getting exactly what you require. We received the sign today, it looks great! Thanks a lot for your help. Excellent products, prompt and on time delivery as agreed. I saved time by having the signs and traffic cones delivered. Highly recommended. Product was very good, order was very fast, made the job of purchasing safety gear very quick and easy. Although I made only a small purchase, the service was very professional, friendly and fast. Signs look great, prompt service, would recommend. Thank you very much for making our sign for us, we look forward to using your company again for any future signs.